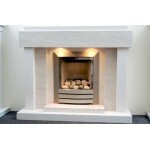 We are the largest manufacturer of limestone and mocha limestone fireplaces in the United Kingdom. 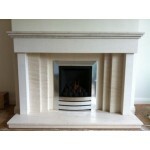 We specialise at creating designs that have a two tone contrast utilising the two types of limestone to achieve a stunning fireplace. Limestone is a natural stone material which has a stunning range of random natural markings and grains that make its unique beauty and perfect for your fireplace. Our Factory Showroom is open 7 days a week and is ideally located for easy access from all areas of the North West. Pardise Limestone and Mocha Creme Fireplace. 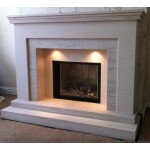 Limestone and Mocha Creme Fireplace with Limesto..
Signature Limestone & Mocha Creme Fireplace. 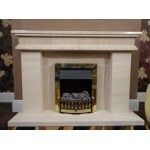 This Fireplace is made by us in our own fact..
Vallant Limestone & Mocha Creme Fireplace. 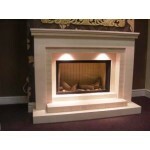 This Fireplace is made by us in our own factor..
Nevada Limestone and Mocha Creme Fireplace. A stunning natural semi rijou and contrasting moc..
Culture Limestone and Mocha Creme Fireplace. 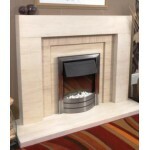 A stunning natural semi rijou and contrasting mo..
Henge Limestone and Mocha Creme Fireplace. 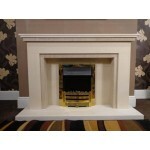 A stunning natural semi rijou and contrasting moch..
Eclipse Limestone and Mocha Creme Fireplace. 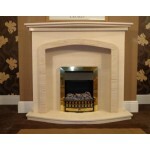 A stunning natural semi rijou and contrasting mo..
Denton Limestone and Mocha Creme Fireplace. A stunning natural semi rijou and contrasting moc..